Week 35 - Polaroid 420 Automatic Land Camera received from my nephew in a junk box of cameras. I tested the camera with a 3 volt battery with some juice left in it and loaded it with my last pack of Fuji FP-100c peel-apart film. Our family is going through a difficult time right now - my mother is terminally ill with breast cancer and recently went on hospice home care. On Sunday morning, Brenda and I took a little break and drove to Cylburn Arboretum in Baltimore to spend an hour or so walking the grounds and gardens of this beautiful and peaceful city park. The Cylburn mansion was completed in 1868, with a Carriage House, which currently contains a nature museum. 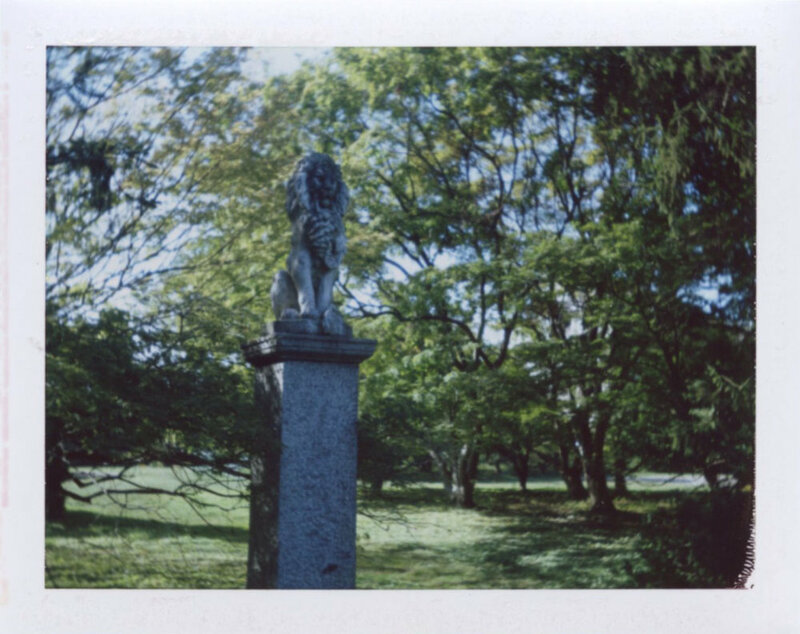 I shot the entire pack of instant film while we walked around the park, thinking that it would be nice to come here and sketch sometime. After leaving there, we drove back to Hanover and had a picnic lunch at Codorus State Park, near our home. Most of the photos from the pack came out with accurate focusing, using the rangefinder on the camera. 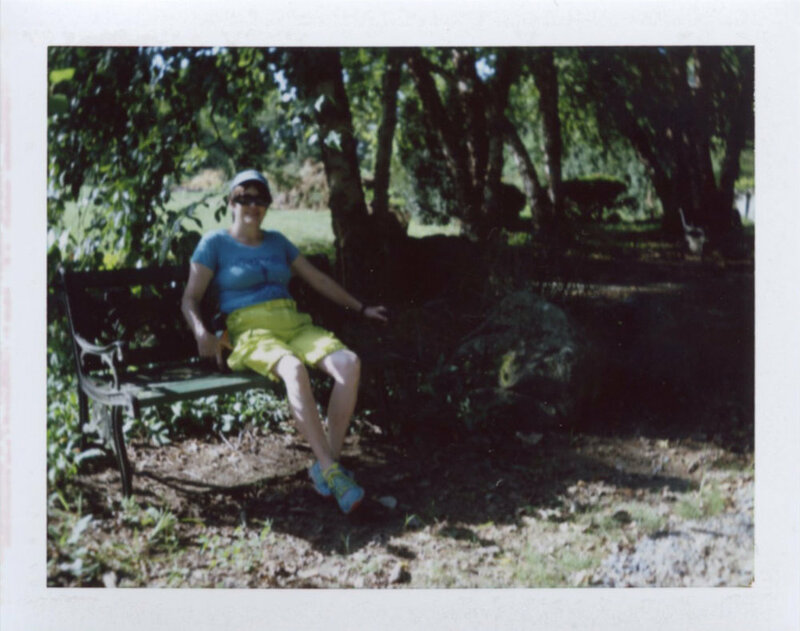 I thought the photos turned out nicely and am pleased that those will be my last Fuji FP-100c photos. Well, I may at some point purchase additional Fuji pack camera film, but for the foreseeable future, I will be shooting with Fuji instax mini and wide films. I also occasionally purchase impossible project films when there is a sale on expired packs and factory seconds.